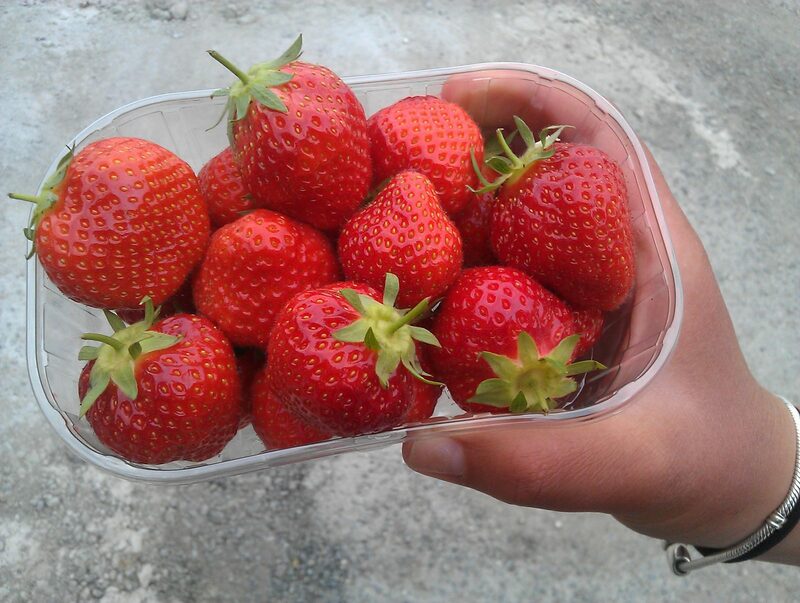 Another treat from Cornwall this week – strawberries from Mitchell Fruit Garden. 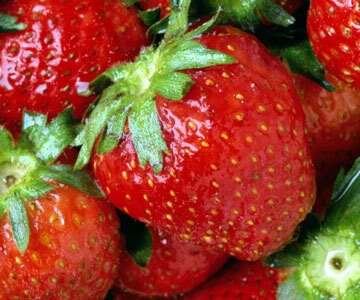 Cornish strawberries and Cornish asparagus plus peas and broad beans – what more could you wish for?! 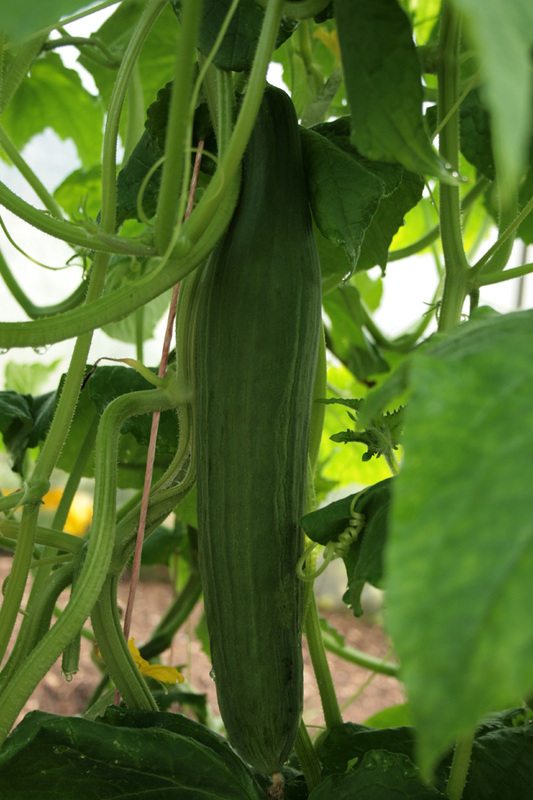 There are lots of cucumbers in the polytunnel, so we’re on the lookout for different ways to prepare them. Put the honey, mint and elderflower syrup into a blender and blitz to a thick, fragrant syrup. If you don’t have a blender, chop the mint very, very finely, mix it with the honey and cordial, then leave it for an hour. Strain through a fine sieve or muslin to remove the mint. 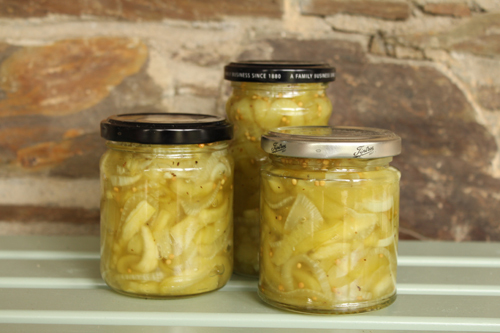 Peel the cucumbers, slice them in half down their length, then scrape the seeds out with a teaspoon. Dice the flesh finely and put it in a large bowl. 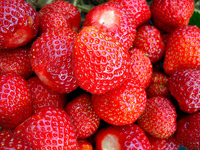 Remove the leaves from the strawberries, slice the fruit in half and toss gently with the cucumber. 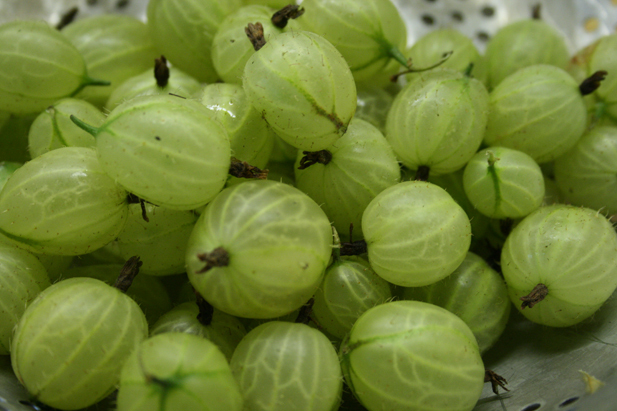 Pour the mint and elderflower syrup into the fruit, stir very gently, then leave for about 30 minutes, in the fridge and covered, before serving. 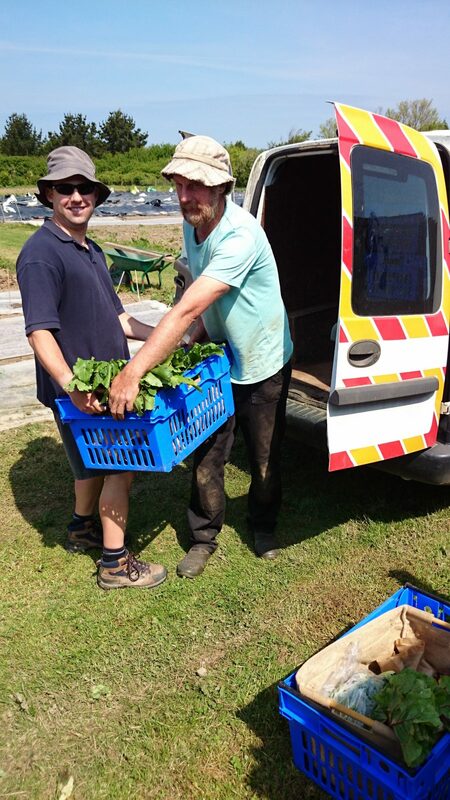 FRIDAY MORNING UPDATE : the packers found they needed to clear crops in the polytunnel – lettuces and spring onions. So, in addition to the above list, standard boxes had a lettuce and the small boxes had spring onions. Any surpluses were placed by a board saying help yourself (first come, first served). 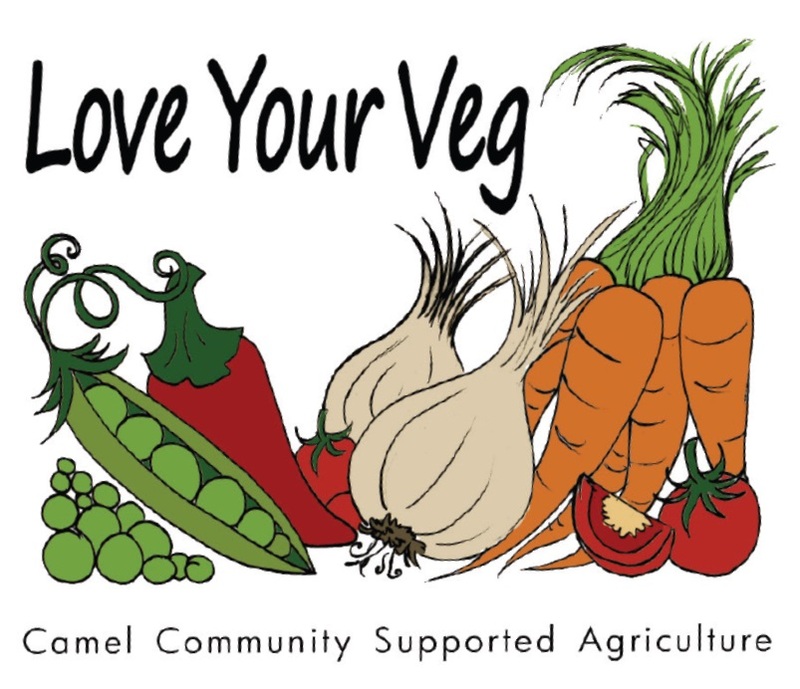 As we complete our first year of veg boxes, we’ll be getting some tasty treats this week – including beetroot and courgettes from Mark Norman in Bodmin and Cornish strawberries from Treworder Fruit at Treworder Barton, Egloshayle, Wadebridge. Veg box regulars probably noticed that last week’s bag of mixed basil contained an unexpected cornucopia of flavours – quite a shock to the tastebuds! 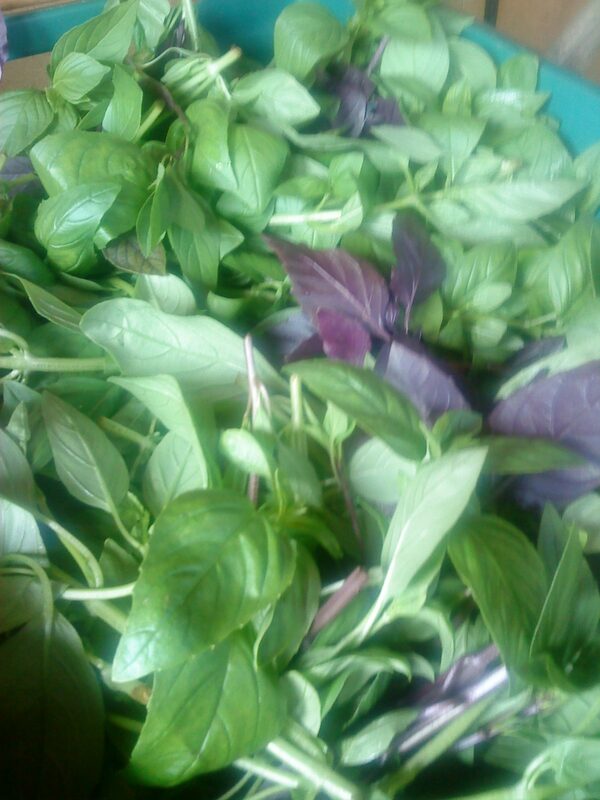 There are many different varieties of basil and Jeremy Brown of St Kew Harvest is growing a selection. Some can also be distinguished by their thinner leaves. 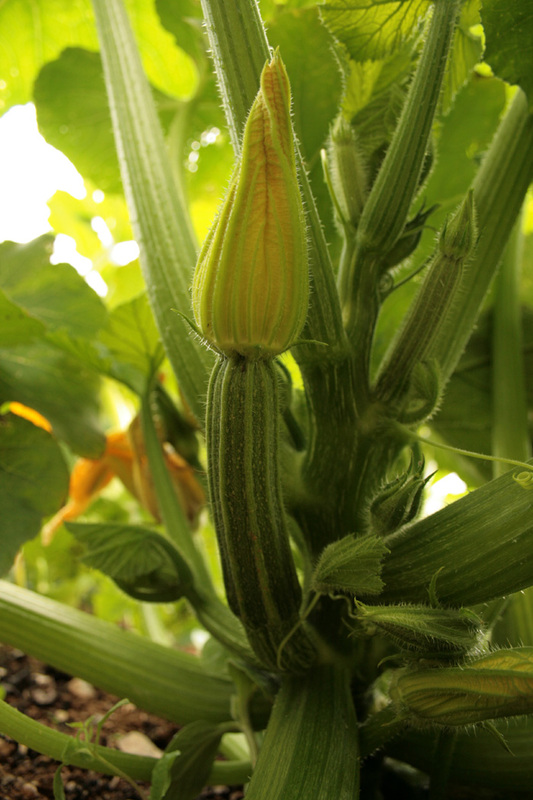 Sweet Genovese is similar to the basil we’re all familiar with. 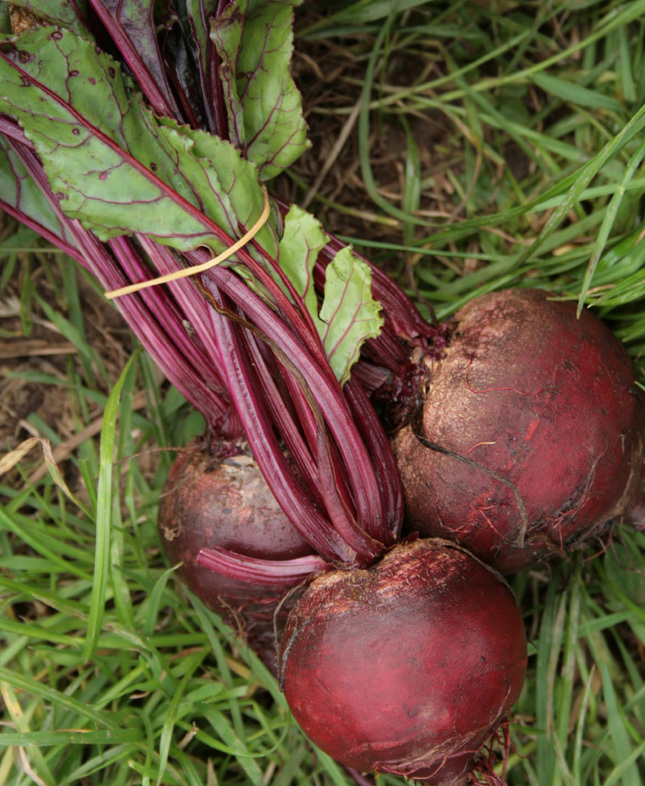 Purple basil, which is also fat-leaved, has a deeper flavour and a richer colour. Lemon or “hoary” basil is delicious in a green salad. Cinnamon basil is from Mexico. Thai basil, used in oriental cooking, has a distinctive liquorice taste.